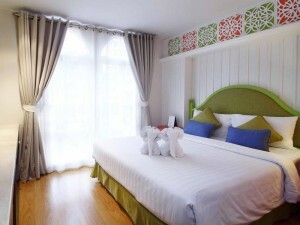 Salil Hotel Sukhumvit Soi 8 is a small boutique hotel that’s centrally located on Sukhumvit Soi 8. With just 30 rooms, it’s a cosy hotel that offers good service for guests. 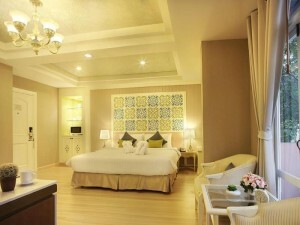 The rooms and suites are tastefully decorated with nice furniture and a reasonable amount of sun. All rooms have free Wi-Fi. Salil Hotel is far enough down Sukhumvit Soi 8 to avoid road noise from Sukhumvit but still close enough to make accessing the BTS station and nearby nightlife like Nana Plaza quick and easy.